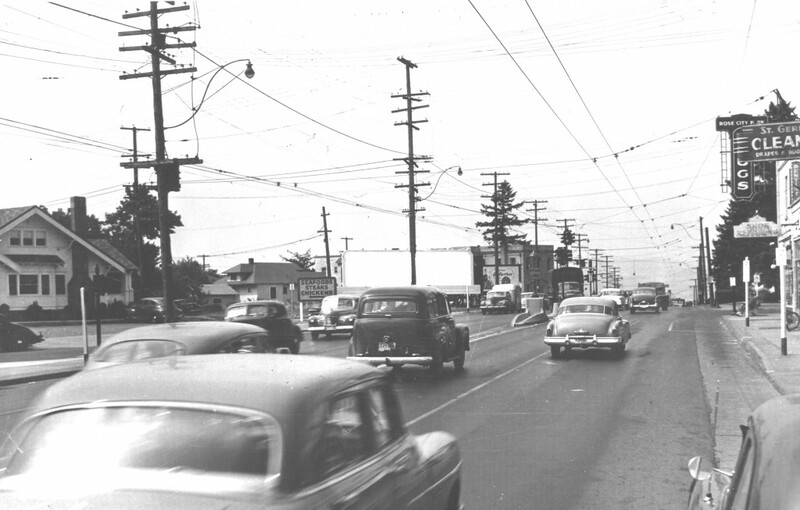 Photos courtesy of Bonnie LaDoe, until recently a Roseway resident for nearly 58 years. Also a former board member of the RNA. 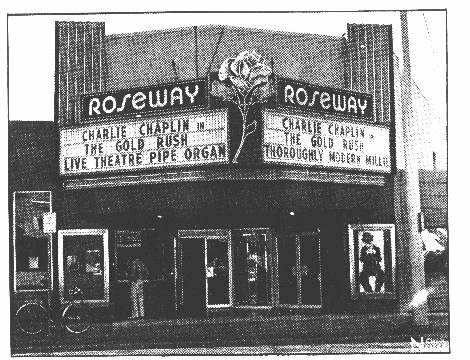 Roseway Theater – The Roseway, at one time, was revamped with a pipe organ and showed old movies. This photo is from that era in the 1970â€™s. Photo from from the book “65 Years, Lives and Legends” by George Denfeld. “Fred Meyer House” Ruth Murray and sister, Hannah Peters Noonan. 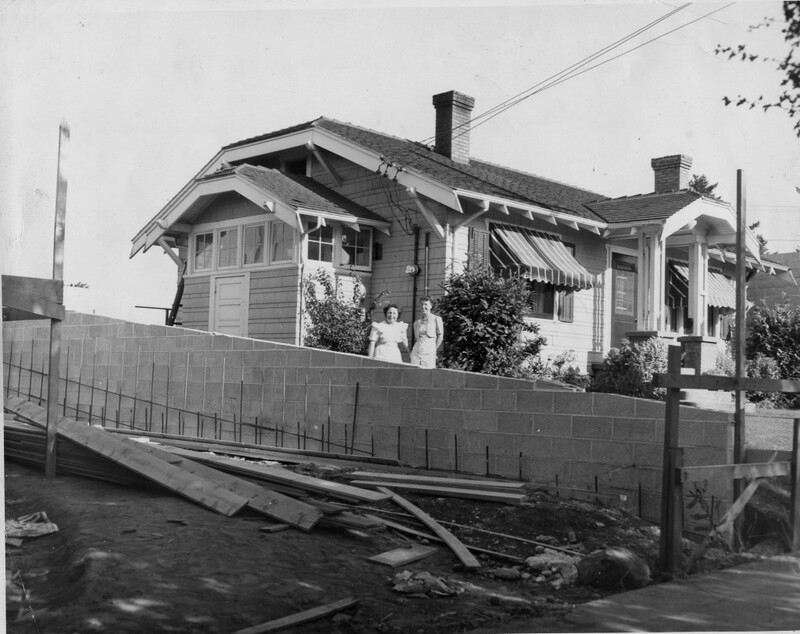 The house was fenced in on three sides by a Fred Meyer store under construction in the photo. 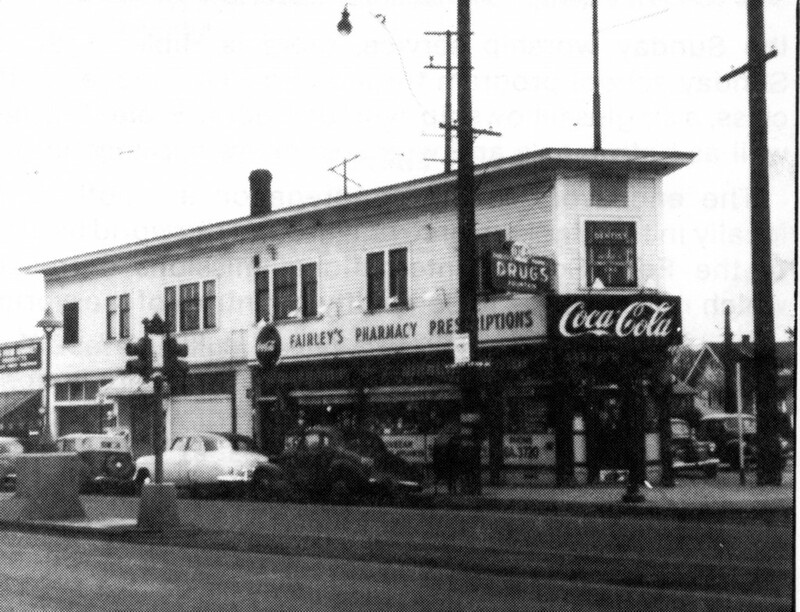 Fairley’s Pharmacy back in the day. Photo from from the book “65 Years, Lives and Legends” by George Denfeld. organ and showed old movies. I’m quite sure the photo is from that era in the 1970’s.